← It’s time to ramble on! 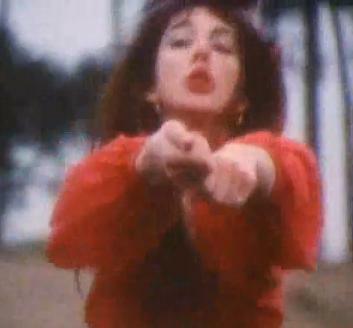 Kate Bush is amazing. Is this newsworthy? Relevant? Perhaps, but we’ll get to that later. Anyway it doesn’t matter. It should be said. And said more often. Her songs are wonderful. Her voice is magical. 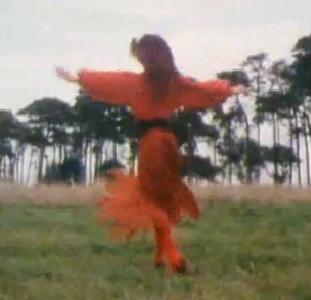 No choreographed video of any singer/dancer in today’s top 40 can hold a candle to the originality and brilliance of Kate Bush’s interpretive dancing. Fact. I’d like to think I’m one of many people out there who has tried to imitate her moves when alone in their lounge room – or with friends in a pub. I took my shoes off and I threw them in the lake. And for the uncoordinated, like myself, the video is full of easy to replicate dance moves that will surely make you the hit of your next party or social gathering. I also love Noel Fielding. And the other day when I saw this video of him performing Wuthering Heights for Comic Relief, I loved him a little more. This entry was posted in Music and tagged dance moves, kate bush, noel fielding, obsessive fangirl. Bookmark the permalink.